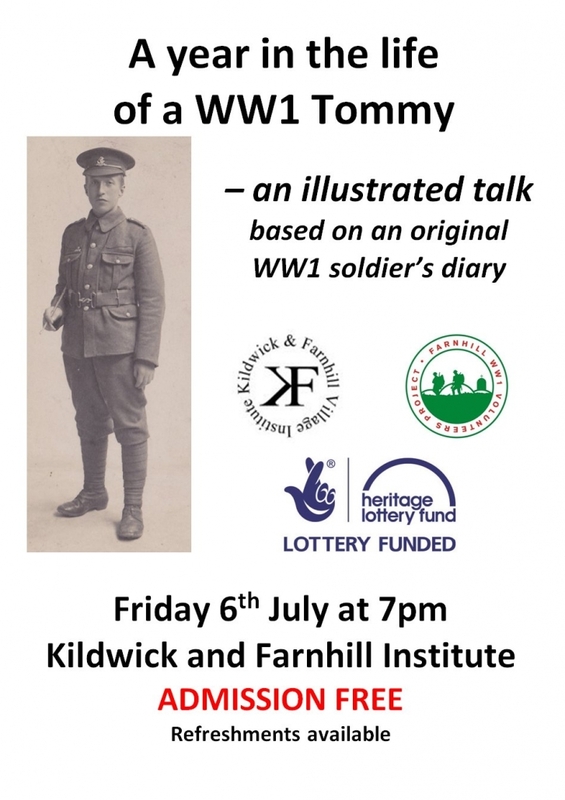 The Farnhill WW1 Volunteers project is hosting an illustrated talk by Kath Dowthwaite entitled “A Year in the Life of a Tommy” – at 7pm on July 6th in the Kildwick and Farnhill Institute, Main Street, Farnhill. Admission will be FREE and refreshments will be available. The talk is based on the 1918 diary of 18 year old Private William Leeming Marsden of the 12th Kings Liverpool Regiment. After a few months of training in England, William was sent to Northern France where he served in the trenches until the end of the war – returning to England late January 1919. In his pencil-written diary, William gives graphic details of what life was like for a teenager in the trenches.